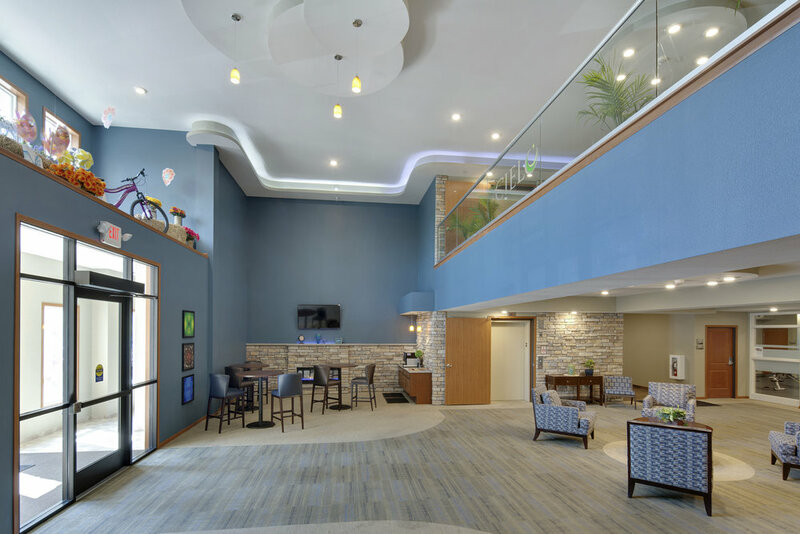 Cielo Apartment Complex — Lyon Contracting, Inc. 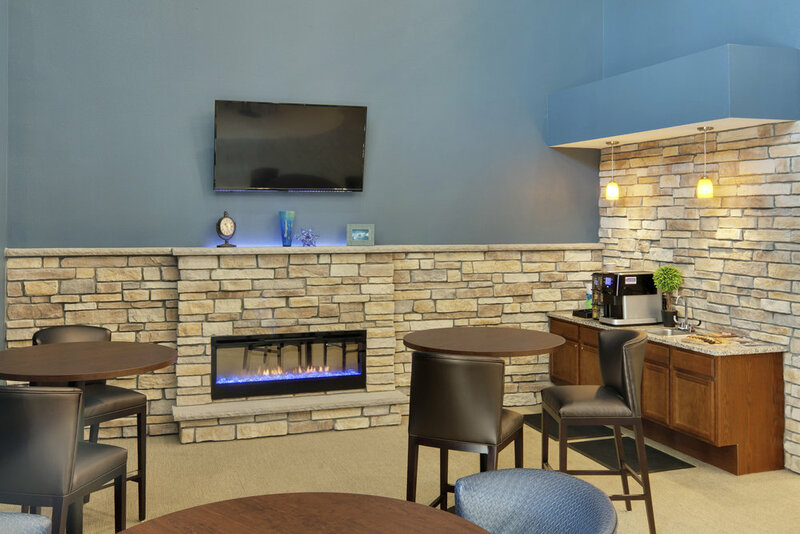 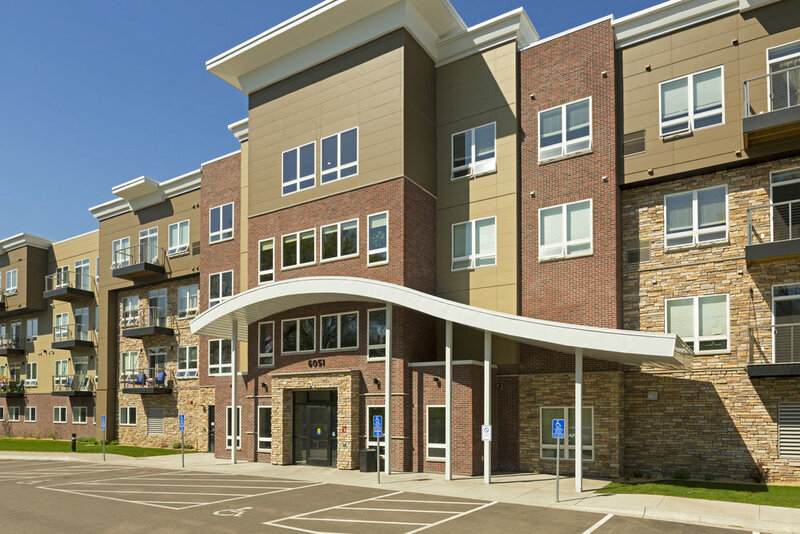 The Cielo Apartments are a three phase 269 unit apartment complex; in Fridley, MN. 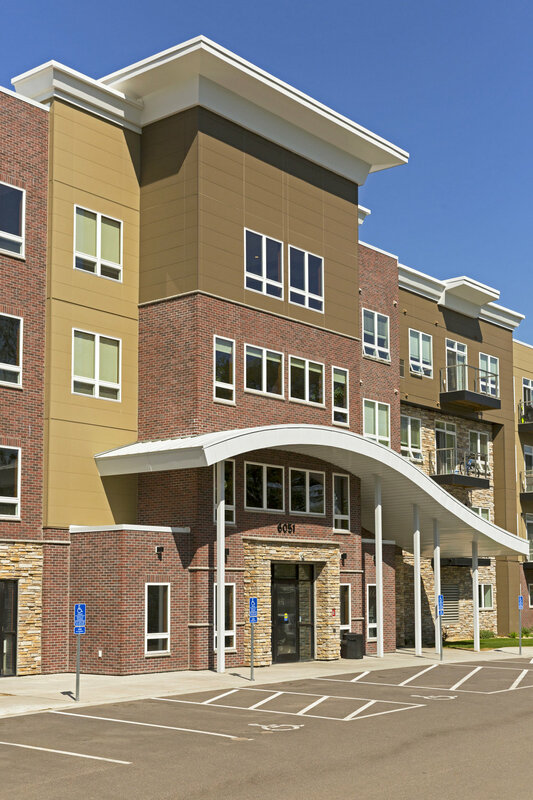 The first building of the trio is a four story building featuring three stories of living space above first floor community spaces and parking garages. 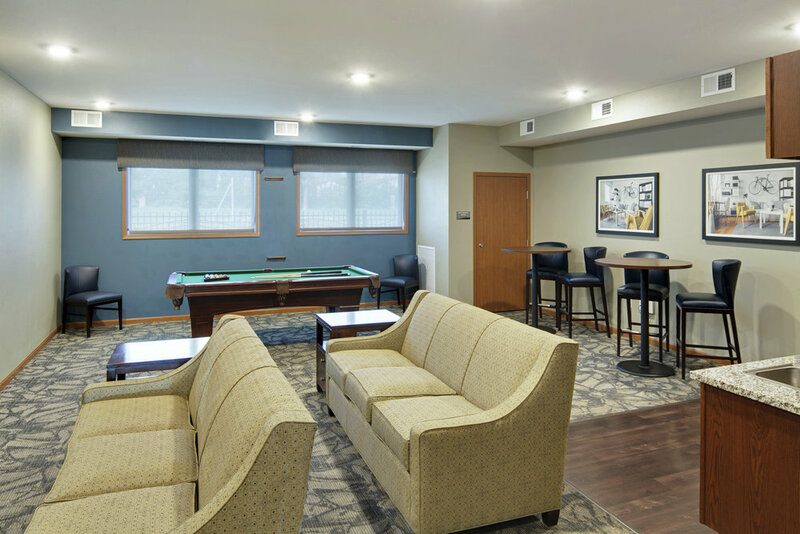 This building has 101 units, each with 9' ceilings, granite counter-tops, full size washer and dryer and open shelving above the sinks. 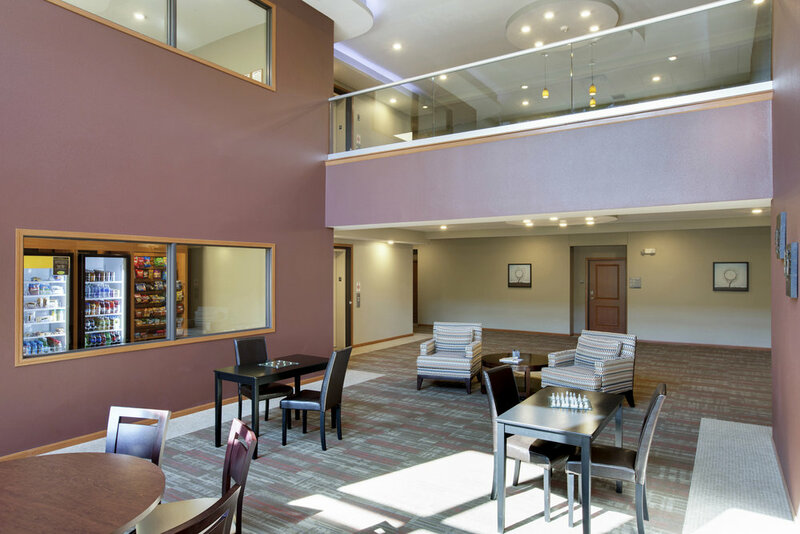 The common areas consist of a two story atrium lobby, community room, party room and fitness center.